Situated in the hamlet of Redcoats Green, Hertfordshire, we've always had a soft spot for The Farmhouse at Redcoats, which we knew previously as a nice country hotel that was crying out for some love and care. 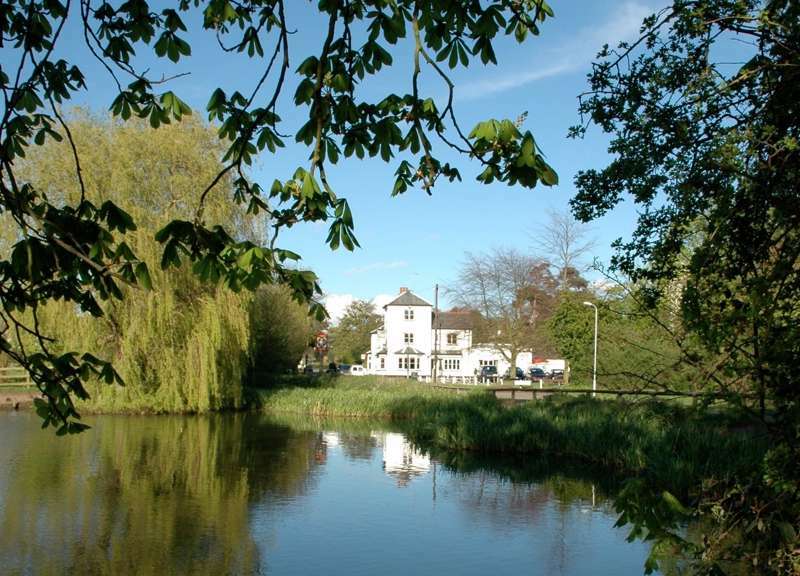 So we were delighted when it was restored to its former role as a perfect place to escape to for a weekend or short break in the countryside near London. It's good to see it back in business: parts of the building date back to the 15th century and it boasts 4 acres of gardens with lovely views across the rolling Hertfordshire countryside, plus the new owners have done great job of restoring the neighbouring 18th-century beamed wooden barn, adding a cool bar and beautiful 150-seat wedding venue along with 15 additional guest rooms. Perhaps the nicest thing about The Farmhouse at Redcoats, though, is that it doesn’t feel as if it’s near anywhere much. It's in fact just a few miles from Hitchin, just off the A1M, so is extremely easy to get to – by car at least – from London or just about anywhere else in the Home Counties north of London. But its country location and good bar and restaurant mean you don't have to do much once you're here other than stroll around the gardens or stride off across the fields in your wellies. And they give you a handy map on arrival just in case you want to do just that. The hotel has 27 guest rooms, divided between 4 in the main house, 8 more contemporary rooms in the old stables in the courtyard, and a further 15 in the re-constructed barn, where the main reception is also located. The four rooms in the main house are comfy rather than posh, with oak beams and crumbling old fireplaces, while the 8 courtyard rooms outside are more contemporary with cleaner lines and bolder colours; they also accept dogs. But the rooms in the old barn are the most contemporary, ranged across 3 floors, with spacious bathrooms with powerful showers – the ones at the top are cleverly squeezed in amongst the gnarly eaves and beams of the ancient barn. All have tea-and coffee-making facilities, complimentary mineral water, TVs, phones and super-fast wifi, and the barn rooms are all air-conditioned too. The rest of the hotel revolves around the lovely old bar, which is a cosy old room at the centre of the old building, with mis-matched furniture, old beams and curios, and the restaurant, which is a mainly conservatory-based affair that looks out onto the hotel’s well-tended gardens, and serves a delicious moderately priced, contemporary British menu (usually supplemented with a couple of well-chosen specials) based around seasonal and local ingredientss; they serve oysters and seafood from Brancaster Staithe in North Norfolk (the same family owns the excellent The White Horse, along with The King's Head Letheringsett both in North Norfolk, and the nearby The Fox at Willian), local game and pork, Hereford steaks and a trio of roasts on Sundays. They also offer a rather nice afternoon tea, which you can enjoy in cosy lounge next door to the restaurant or the gardens if the weather is behaving itself. 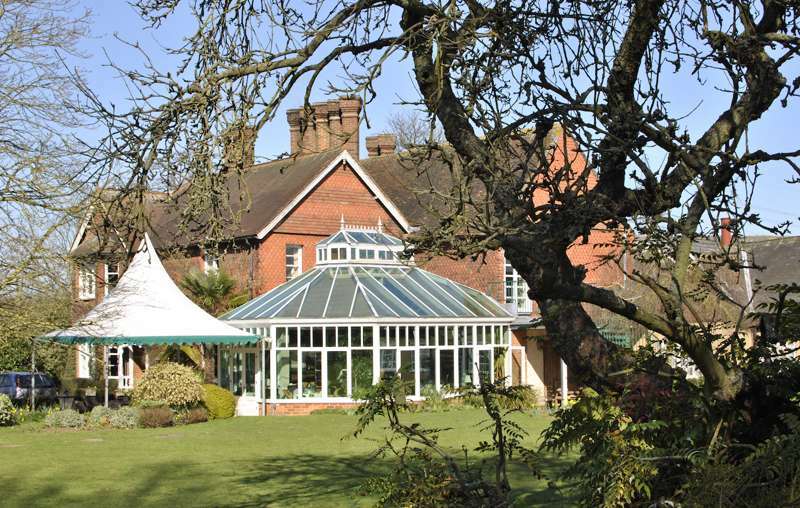 In short this is a very homely hotel, restaurant and wedding venue, in the heart of the North Hertfordshire countryside – back in business and on a roll! 27 guest rooms, taking in Standard, Superior and Luxury categories – 4 in the main house, 8 in the old stables and and a further 15 in the re-constructed barn. Two ground barn rooms offer disabled access; courtyard rooms take dogs. Double rooms with breakfast £95–£135.